I have decided to branch out and make this baby her own bedding this go around. Oh and the plus side I'm saving lots of money. I bought 4 different fabrics at 2 yards a piece to have my mom make 4 cribs sheets while she is in Florida visiting her mother. A crib sheet these days goes from $19-40 bucks a piece. I'm getting 4 crib sheets for $30. Then I've decided to make my own crib skirt as well. The cool thing with this crib skirt is that I only need enough fabric to make two sides of the crib skirt, because the other two sides are hidden against walls. I have my crib in the corner of the room. Again I'm saving a bunch of money. I believe a crib skirt goes for $50-100 and I'm getting it for less than $25 bucks. 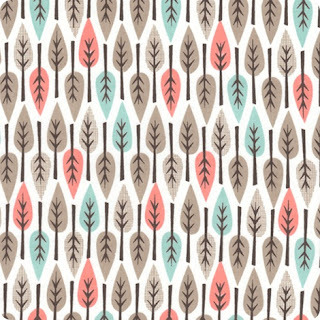 Here is the fabric that I ordered for my crib skirt and I hope it comes in this week! In the end I hope it all matches and works well together. Then I will try to figure out what I'm going to make with the extra fabric I ordered from the crib skirt fabric. I'm thinking either a pillow sham, a cushion for the rocking chair (more on that later), or add it to the curtains when I get those made (more on that later too). We are still trying to decide on a name! Naming your third child is hard - even if its a different gender.